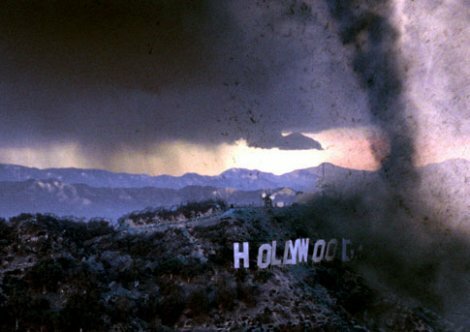 "The Professionalism About Movies Will Be Destroyed Forever"
Hollywood has produced its fair share of disaster movies. How about one where the independents destroy the archaic financing, production and distribution methods of Tinseltown? I'm sure Roland Emmerich could throw something together there. As we continue to grow and mature as a new generation of innovative digital filmmakers, we're learning more about crowdfunding, are chiseling out bare truths behind film distribution and are solidifying ourselves as trendsetters in a social media-heavy world. Considering all of this, it's (very, very!) invigorating to step back and see this larger, historical narrative play out. Consider the following two filmmaker interview clips. Here Coppola imagines a world where the filmmaking tools have been democratized. We all know this would eventually happen. And because this has happened, it wouldn't be incorrect to jump off Coppola's thoughts and expand his hope for the future of filmmaking: a democratized level of exposure--if not opportunity for content accessibility and distribution. Anderson shares a story about utilizing the YouTube platform to distribute his own, non-studio theatrical trailer. After the studio's initial rage, they warm to the overwhelming response from the focused, enthused online audience. A filmmaker who came up mainly through the studio system, Anderson digresses on the amazing new opportunities for filmmakers today. He calls platforms like YouTube a "filmmaker's fantasy." Somebody connect the dots please. The negative effect of this, is that the lines between a professional and amateur are blurred to the point where we no longer have well crafted films - and audiences settle for calling the mediocre masterful. I find myself spending less and less time at the theater, and more time digging for quality works of the past. Professionalism of craft is seriously degraded.